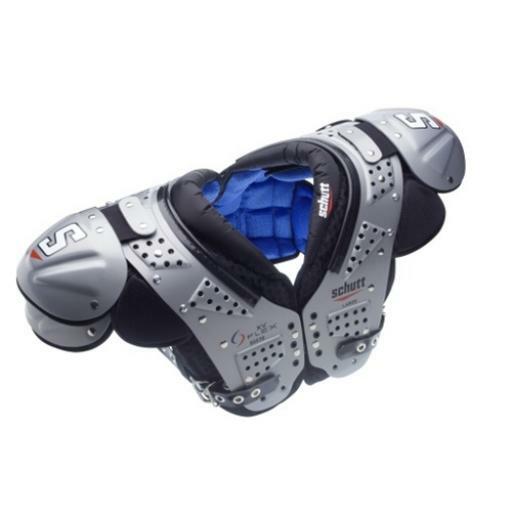 The XV Flex is built to mimic the Extreme Flex shoulder pads in every manner, but at a more economical price point. The XV looks like the Extreme Flex and has many of the same performance features and benefits. High Impact, closed cell EVA foam is at the center of the XV Flex protection system. Ventilated with 5mm vapor holes, the EVA foam maxes out protection in the XV but also helps circulate air around your body, keeping you cooler and drier. Exclusive to Schutt, AEGIS® takes anti-microbial agents to the next level. Working 24/7, this rugged germ-fighting agent uses negatively charged anti-microbial particles to fight against an array of bacteria, fungus, germs, and mold. AEGIS® is so effective, it's registered with the EPA.